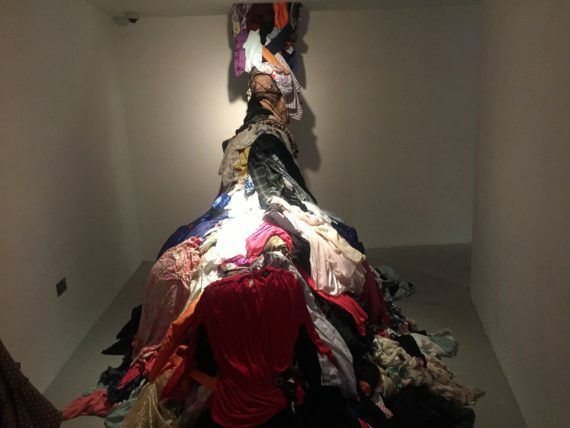 Gallery 1957 in Accra is closing a display of provocative installations of female underwear by Va Bene Elikem Fiatsi (crazinisT artisT) that form a sequel to his 2017 exhibition titled “Rituals of Becoming”. 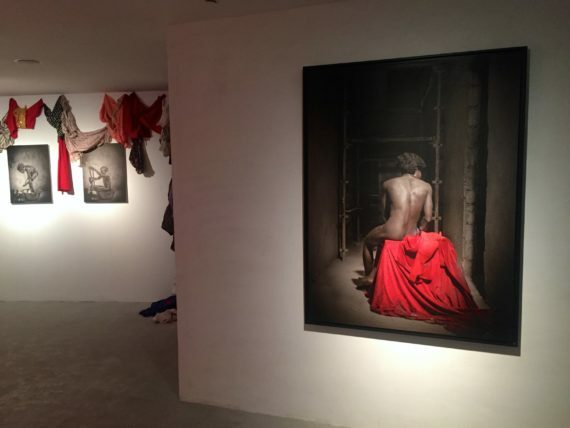 Fiatsi has since 2012 embarked on a rather long voyage of investigating and questioning social constructivism of human existence and its relationship with the “culturality” of gender and sexual misrepresentation. 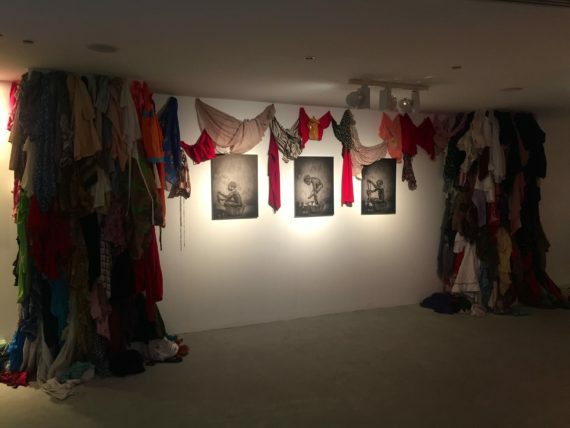 Titled “Passing Through – Acts of Radical Empathy”, the show forms part of transitional exhibitions and performances, which offer a grand opportunity into durational performances in and outside Ghana by Fiatsi, who has carved a niche for himself in recent years. 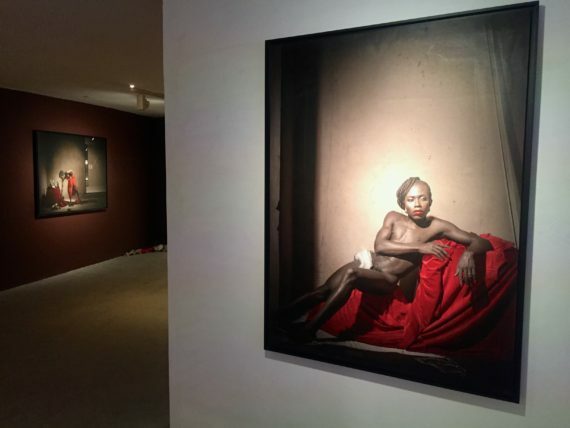 Over the past five years, the project has equally been characterized by him dressing and presenting himself as a woman – a move that has captured the imagination of art lovers and stupefied onlookers and the general public – who are completely oblivious of his research. The exhibition equally featured footage of films that have been shot from his numerous performances including experiences at European airports. They form part of a body of work collectively known as “Invisible Body Series”, which obviously highlight his “transitional” state. 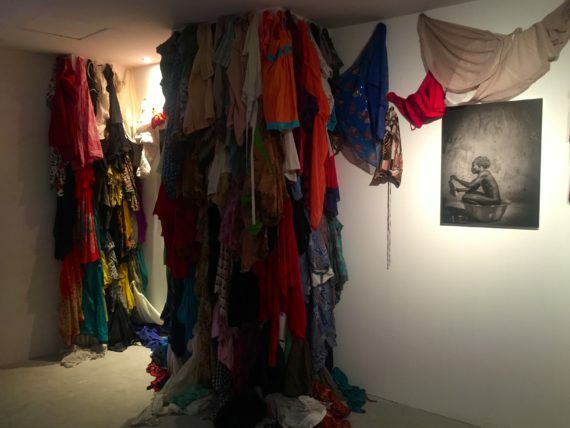 Also on display in the form of a brick wall, are “millions” of photos of previous ritualistic performances from his personal studio and pictures of other installations of female costumes and underwear, which he has worn and collected since 2013. 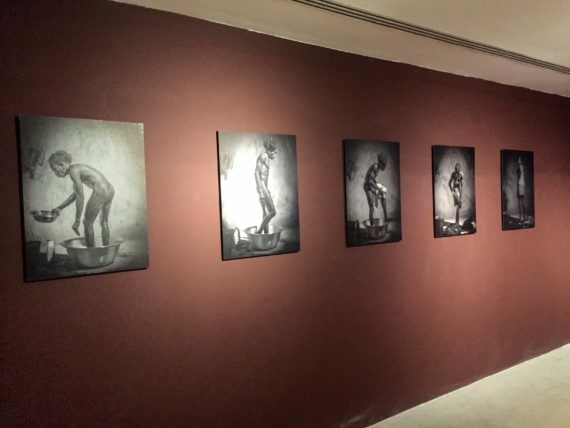 Large-scale performance photos of Fiatsi by the British artist Fagot Koroviev, which draw heavily on 20th Century European paintings, adorned the walls of the gallery. Indeed, the artist allows a great deal of light in the photos thereby enabling them to sparkle. 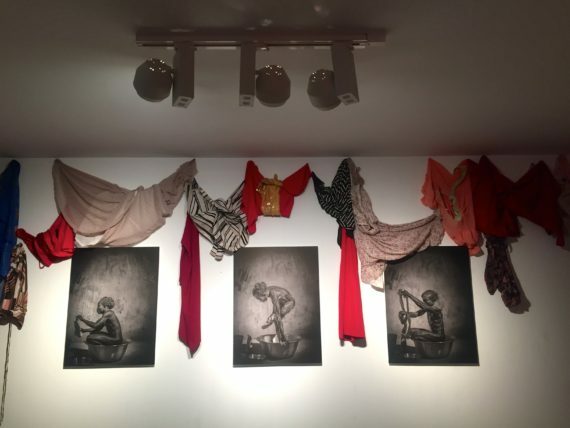 A multidisciplinary artist, Fiatsi’s work explores the relationship between politics, identity and gender constructs through immersive performances. 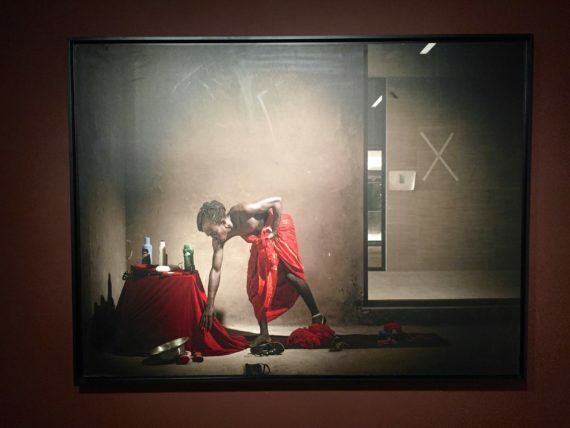 Using his body as a material, he seeks to provoke his audience to question their sense of identity thereby creating indecisive moments that blur the lines between public and private space. 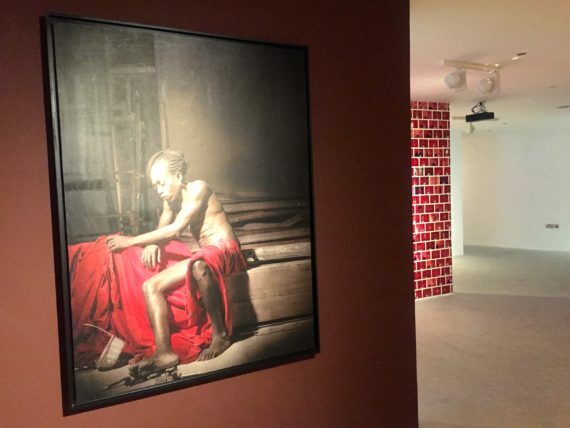 An exclusively collaborative artist, Koroviev is interested in the development of narratives by drawing inspiration from a range of pan-historical and pre-existing channels of communication.